On this program the participants become telecommunications technicians by doing practical tasks that develop their skill set and knowledge about telecommunications. For example, the participants describe signals used in electronic communications and their transmission procedures, instal terminal equipment and cables in telecommunication networks, identify optical cables or view modulated signal with oscilloscope. The participants learn about specific measurement methods, control devices and procedures used in telecommunication. 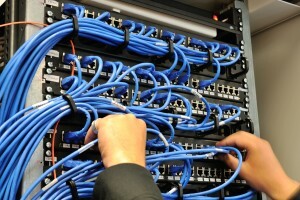 As a result of the program the participants are able to identify flaws and defects as well as verify and inspect telecommunication networks, semi-manufactured components, computer and technical systems used in telecommunication.